I have a few minutes of quiet. 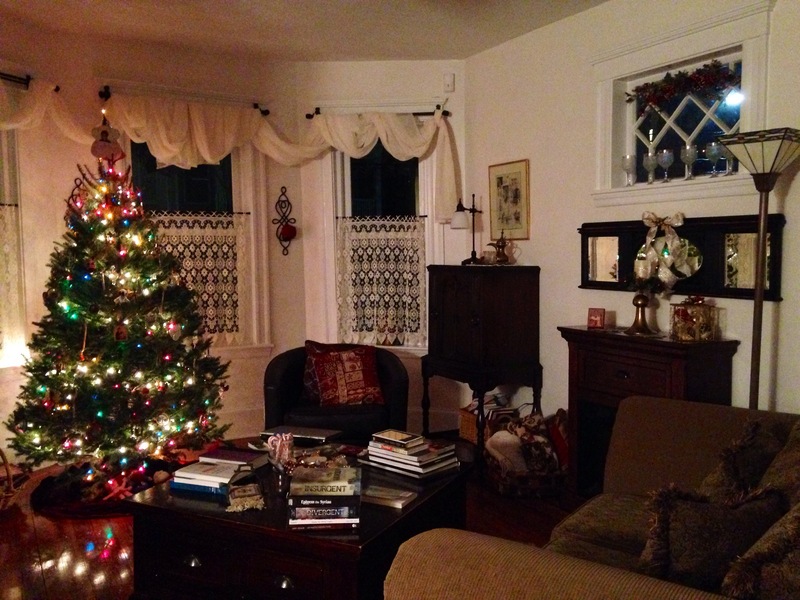 Tonight will bring a crowd to our house with our annual Christmas open-house, but right now it’s quiet and I love it. In the quiet I think about the past weeks since I returned from Turkey. It has been a rush of activity at home and work. There has been little time to reflect and remember. But right here, right now — I reflect and remember. I remember a year ago and some of my worries, how now they are resolved and no longer burdens to me, no longer heavy backpacks on my journey. I remember some of the uncertainty of last year, now no longer uncertain. I think of the growth that has taken place in myself and those around me. And I think of the pain mixed with joy — always present, simply a part of living in our broken world. It’s good to remember. I’ve said it many times in my blog; I echo it in my book. This season, before New Year’s comes with it’s bang and pop, take a few minutes to remember. Write down what worried you a year ago and see if today it might feel a fraction easier. To be sure there are new worries, but if we look the way of the past we see grace woven through the journey. So I sit by a beautiful tree, grateful for a few moments to reflect and remember. Because there can be strength in remembering. Buy Between Worlds. Between Worlds, Essays on Culture and Belonging a set of essays on living between worlds today. The book is divided into 7 sections and each section is illustrated by my talented daughter – Annie Gardner. Home, Identity, Belonging, Airports, Grief & Loss, Culture Clash, and Goodbyes set the stage for the individual essays within each section. Between Worlds is available at Amazon and Barnes & Noble. < Previous The Perfect Christmas Present to give your Child This Year! Great piece, mom. Sometimes it’s hard to even remember what we were thinking a year ago..
“There can be strength in remembering.” Oh, the wisdom of this. Thank you for this deeply moving piece.